The 2016 RBC Canadian Open golf tournament is taking place this week from July 21-24, 2016, at the Jack Nicklaus designed Glen Abbey Golf Club located in Oakville, Ontario, Canada. Here is a list of the top golfers in the playing field for the 2016 RBC Canadian Open. The big news for the 2016 RBC Canadian Open is that golf's #1 player Jason Day is in the playing field and is here to defend his title. Jason Day won the Canadian Open last year and it started a great run for him that saw Jason Day win his first golf major at the PGA Championship and become the #1 golfer in the world. Also in the field is top ranked Dustin Johnson giving the 2016 RBC Canadian Open playing field some real star power. 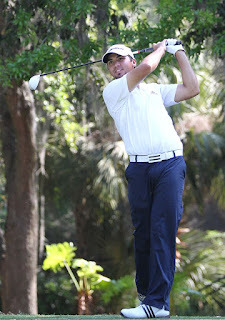 Top 50 players in the playing field include Matt Kuchar, Jim Furyk, Brandt Snedeker, Danny Lee, K.T. Kim, Charley Hoffman, Matthew Fitzpatrick, Emiliano Grillo, William McGirt and Jimmy Walker. Golf major winners in the Canadian Open field include Angel Cabrera, Stewart Cink, Ernie Els, Justin Leonard, Graeme McDowell, Geoff Ogilvy, Vijay Singh and Mike Weir. Players in the playing field to keep an eye out for this week include K.J. Choi, Bryson DeChambeau, Jon Rahm, Matt Jones, Chris Kirk, Hunter Mahan and Tony Finau who played well at the 2016 British Open last week. Speaking of the 2016 British Open you really have to feel for Phil Mickelson. He played brilliant golf at Royal Troon, certainly well enough to win any major but he ran into an incredible buzz-saw in Henrik Stenson who played as well as anyone possibly could tying Jason Day's all-time record for lowest score in a major at -20 under. Congratulations to Henrik Stenson who earned his first major in every possible way and put on a great show for golf's many fans.